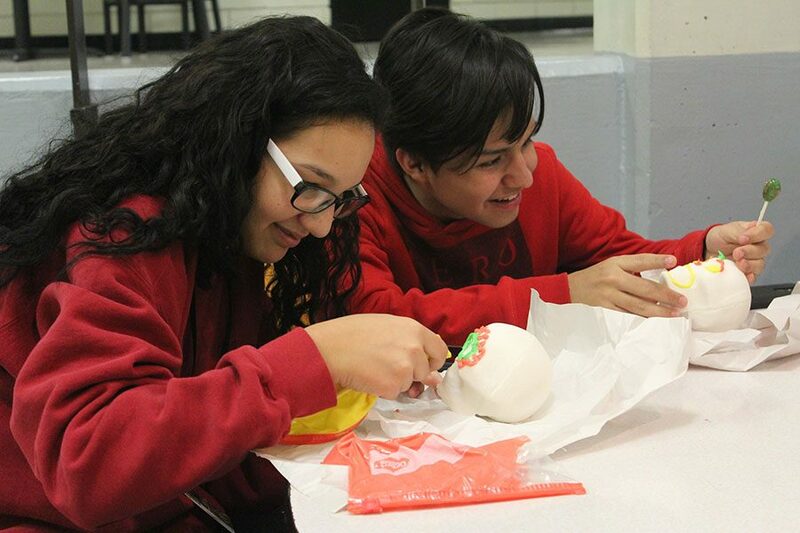 Leaning in for a better look, sophomore Araseli Ramos-Thaw, works hard on decorating her sugar skull as sophomore Irvin Xamora Galvan jokes around during first clubs. The club members were not the only students to decorate sugar skulls as Cheryl Loeffler's Spanish III classes did so as well on Nov. 2. On November 3, students participate in 1st clubs.